This South Africa Vacation was planned for a couple from Chicago celebrating their 20th wedding anniversary. They wanted to experience the best of South African city life, so we sent them to 3 major cosmopolitan centers: Cape Town, Durban, and Johannesburg. Their South Africa Vacation began in Cape Town, known to locals as “The Mother City.” They spent 4 nights at the stylish, luxurious Table Bay Hotel on the fashionable V&A Waterfront. They spent the evening exploring the waterfront’s many interesting shops and enjoyed a gourmet South African meal at a nearby restaurant before retreating to their fabulous room. Over the next 3 days, they explored Cape Town at their leisure. As a more adventurous couple, they hiked up Table Mountain and went cage diving with Great White Sharks. They also took a day trip to the Cape Winelands to indulge in the very best of South African food and wine. Next on their South Africa Vacation, they flew to Durban and enjoyed some rest and recreation at Umhlanga Rocks, the KwaZulu-Natal holiday destination of choice for many locals. 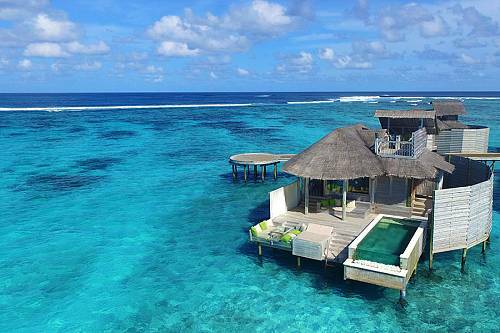 They stayed 4 nights at the elegant Beverly Hills Hotel with unparalleled views of the Indian Ocean. During their stay, they enjoyed fun and relaxation on the beach, visited the fascinating city of Durban, and spent a day hiking in the absolutely stunning Valley of 1,000 Hills. Next, their South Africa Vacation took them to Johannesburg, where they visited some of the best shopping malls, restaurants, and attractions in the city. 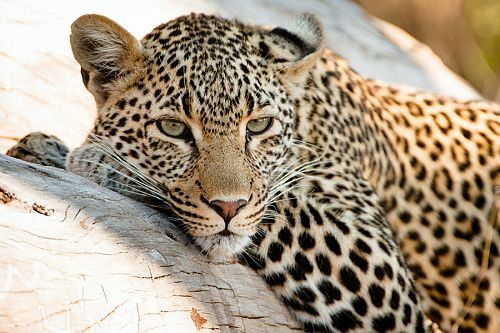 They stayed 3 nights at Four Seasons Westcliff Hotel, which offers panoramic views across the Johannesburg Zoo and the lovely, lush northern suburbs. They had easy access to downtown Johannesburg and all its world-class attractions. They spent their days exploring South Africa’s largest city, and also took a trip to the nearby Cradle of Humankind. This system of caves was the discovery site of several key humanoid fossils and offers an awe-inspiring glimpse of humanity’s past. After exploring South Africa’s most exciting cities, their South Africa Vacation came to an end. They headed to the airport, where they caught their flight home. Welcome to Cape Town! Make your way to Table Bay Hotel, your home for the next 4 nights. Enjoy stunning views of Table Mountain at this luxury hotel ideally situated on the V&A Waterfront. Take in the elegant Cape Dutch buildings and British monuments around the city. Visit the colorful shopping booths of Greenmarket Square a short walk from your hotel, then explore the boutique shops and gourmet restaurants along the waterfront before settling into your hotel for the evening. The next 3 days are yours to explore Cape Town at your leisure. In the city, you can hike or take the cableway up Table Mountain for picturesque views, discover the colorful buildings and delicious cuisine of the Bo-Kapp neighborhood, get a taste of adventure by cage diving with Great White Sharks, visit attractions such as the Kirstenbosch National Botanical Garden or Robben Island, and much more. There’s also plenty to see a short distance from the city. Make a day trip to the elegant, sunny wine regions of Franschhoek and Stellenbosch, or visit Boulders Beach to see the penguins. Leave scenic Cape Town behind as you transfer back to the airport and catch a flight to the bustling port city of Durban. Head to Umhlanga Rocks, a popular holiday spot on the KwaZulu-Natal north coast. Spend your next 4 nights at the Beverly Hills Hotel, which offers an exceptional beachfront location and superb sea views. Spend the next few days exploring Umhlanga Rocks. From your hotel, step right onto the gorgeous beach, where endless water activities are on offer. Many attractions are a short drive away: Isimangaliso Wetland Park, where you can see hippos, buffalo, and other wildlife; the breathtaking Valley of 1000 Hills; and the bustling port city of Durban, known for its rich Indian culture, shopping malls and oceanarium. Or, you can stay at the hotel and enjoy dips in the pool, bowling, golf, tennis, and more. Transfer back to Durban and leave the beaches of Umhlanga behind as you fly upcountry to Johannesburg. 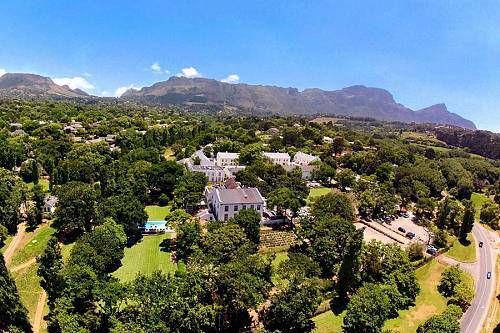 Once there, transfer from the airport to the lush, leafy northern suburbs. Spend your next 3 nights at the luxury Westcliff Hotel, exploring Johannesburg and enjoying the fantastic facilities. Spend the next 2 days exploring Johannesburg with an exhilarating trip to Gold Reef City, a visit to Kyalami to see the Lipizzaner horses, or shopping at some of the exclusive nearby malls with their trendy restaurants, boutiques, and coffee shops. For fascinating cultural experiences, head to the Apartheid Museum or make the short trip to the Cradle of Humankind, an awe-inspiring cave system where several important fossil discoveries were made. Back at the hotel, enjoy heated swimming pools, tennis courts, and endless views. Today, your journey comes to an end. Make your way to the airport and begin your journey home. From Cape Town, be sure to visit Babylonstoren in the Franschhoek wine region. It is a restaurant, winery, and farm hotel. They have delicious, fresh, local produce straight from their own greenhouse. Their attention to detail is phenomenal and the atmosphere is relaxed and casual. 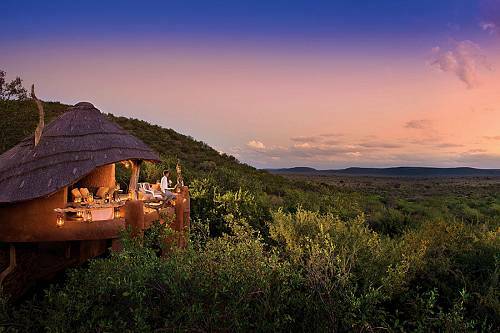 This South Africa Eastern Cape Escape takes you to Cape Town and through the Garden Route. See the beauty of South Africa with this self-driving vacation package.